Our custom pin back buttons are always in season! The BC Association of Farmer’s Markets are passionate about local food and helping markets thrive. 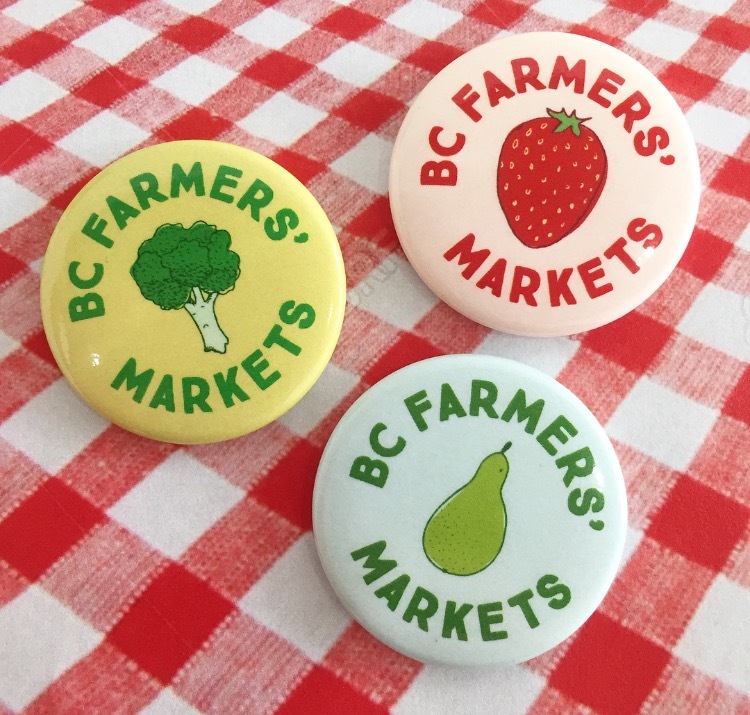 When the BCAFM first launched as an organization, their role was to support farmers’ markets in BC and help them succeed. Over the years, they have grown to recognize that their offering extends far beyond that reach. During the last century, the relationship between food producer and consumer changed as food travelled around the world, changing hands several times before finding its way to our table. More recently, there has been a return to a local food system where people can buy and sell fresh fruits and vegetables, local cheese and meat, baked goods, artisan chocolate and even flowers indigenous to the region. This is what their farmers’ markets look like today. People are seeking value, variety and freshness, and farmers’ markets capture the feeling of a traditional marketplace. At the BCAFM, they treasure the heritage and historical aspect of the farm-to-table lifestyle, and continue to support the vision of those who came before us.